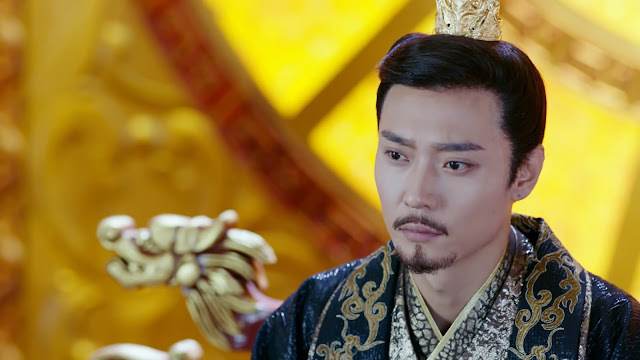 Just to provide a little summary for those who didn’t watch The Legend of Dugu 独孤天下 all the way through to the final episode, the Northern Zhou dynasty and the line of Yuwen emperors came to an end when Yang Jian (Zhang Danfeng) took the throne and established the Sui dynasty. Yang Jian has been married to Dugu Jialuo (Hu Bingqing) for many years, and she was the Empress. Because of a promise he made to her in the past, she became his only wife and the only woman that he had children with. 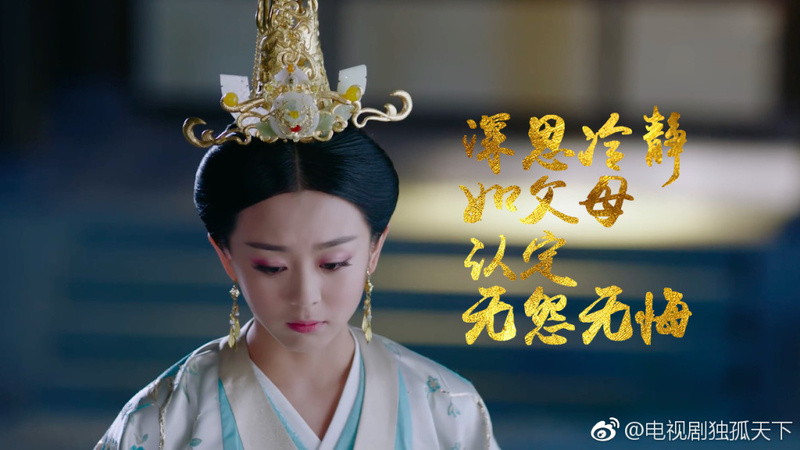 Their eldest daughter, Yang Lihua (Gao Yaoping), is their daughter in name only, at least in the context of historical fiction, her biological parents are Yuwen Hu (Jeremy Tsui) and Dugu Banruo (Ady An), Jialuo’s elder sister. Jialuo had taken in and raised Lihua from when she was a baby. Lihua did eventually discover that Yuwen Hu was her biological father when she was still a little girl, and the two had a very sweet and heartwarming reunion. After Yang Lihua grew up, she went on to marry Yuwen Yun, son of Yuwen Yong (Ying Haoming). 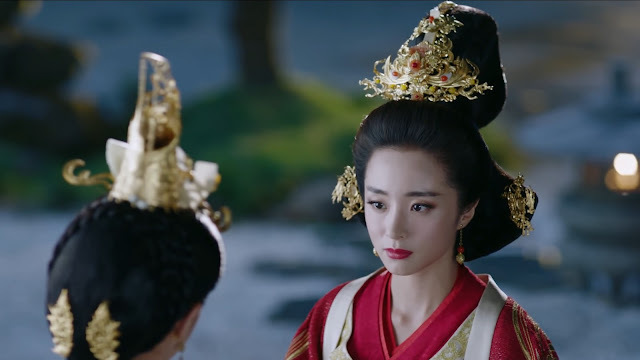 Although Yang Jian and Jialuo were happy together for many years, their relationship became strained after the descendants of the Yuwen family were wiped out soon after Yang Jian became Emperor. Jialuo suspected that Yang Jian was involved. 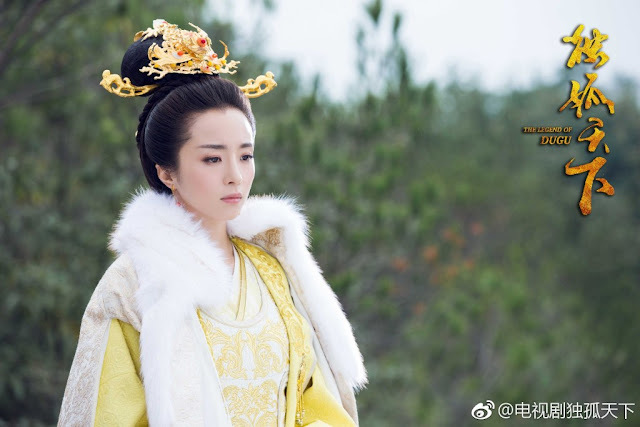 Since Yuwen Yong had been her friend from childhood, and the two did have feelings for each other, what happened to his family caused a rift between her and Yang Jian. Episode 55 begins with Yang Jian hosting a dinner party in the palace. Yang Jian is by himself as he watches a dance performance by a group of beautiful women. You can tell that he is enchanted, and his reaction does not escape the notice of Dugu Jialuo and Dugu Mantuo (Li Yixiao) who are also in attendance. Mantuo is as much of an annoying witch as ever. After so many years, she is still plotting ways to cause trouble for Jialuo. 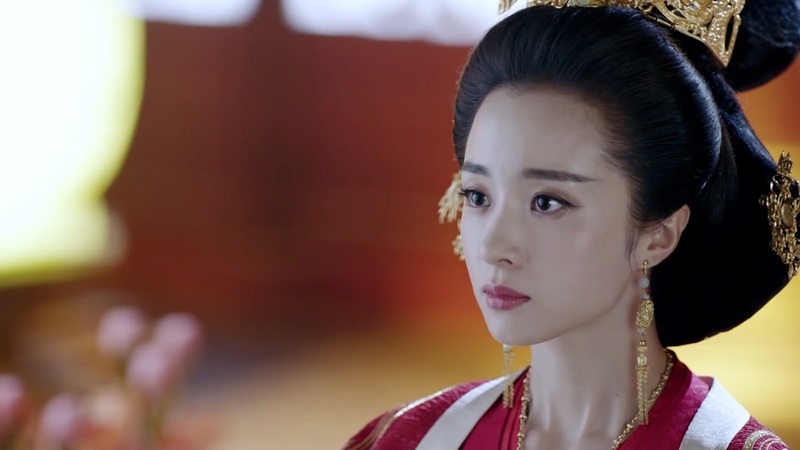 She tells her maid to find someone in the palace who looks like she did when she was young so she can put her in Yang Jian's path. Ugh. Her son Li Yuan (Chen Kefan) tries to stop her, but it doesn’t make any difference. She whines that her son is only a court official, while Jialuo’s son is the Crown Prince. Her inferiority complex continues to be astounding. It’s even worse because Jialuo was the one who brought Mantuo back to the palace so their family could be reunited. 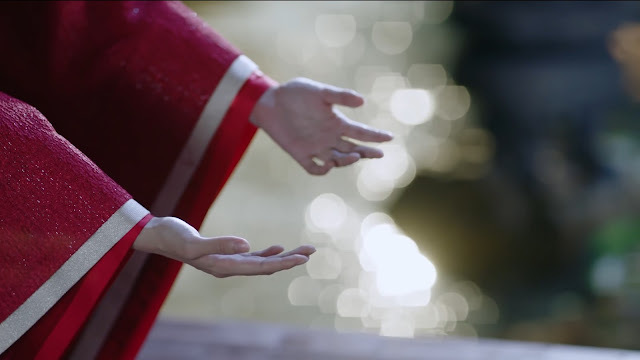 When Li Yuan tells Mantuo that her plan won’t work, she tells her son that it will work because she’s known Yang Jian since they were children, and it’s natural that he would tired of only being with one woman when he is Emperor. 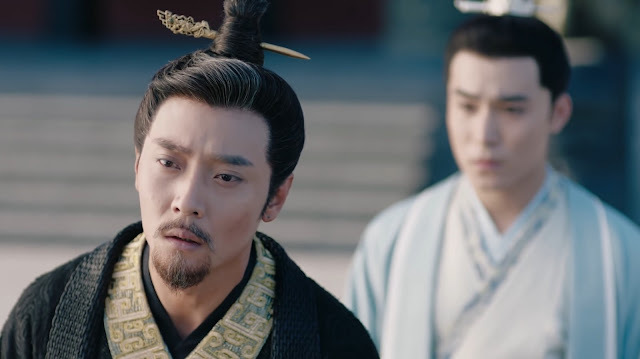 Yang Jian just finished paying respects to the past emperors when he suddenly starts feeling dizzy. A palace maid – one who looks just like a young Mantuo (uh oh) takes hold of his hand and steadies him. She says her name is Fan Ye, and takes him back to rest. After she does, they end up in bed together. Afterwards, Yang Jian cannot believe what he's done. 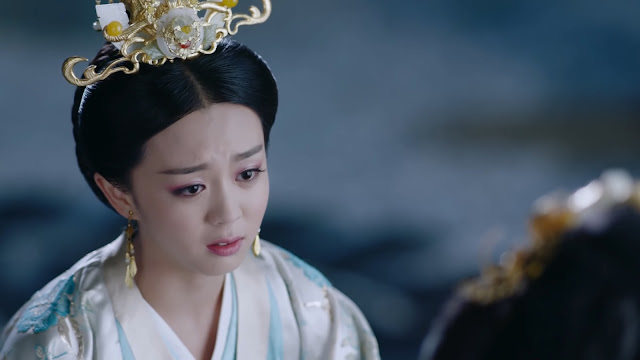 The palace maid cannot stop crying (so fake) and when Yang Jian tells her to stop, she says that everyone knows that he is afraid of Jialuo. 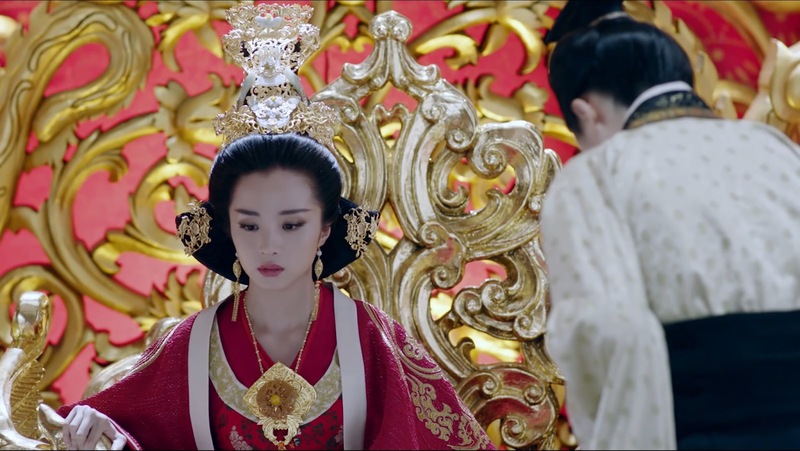 This successfully baits Yang Jian into giving her a title and giving her a residence in the palace. The maid is very grateful. 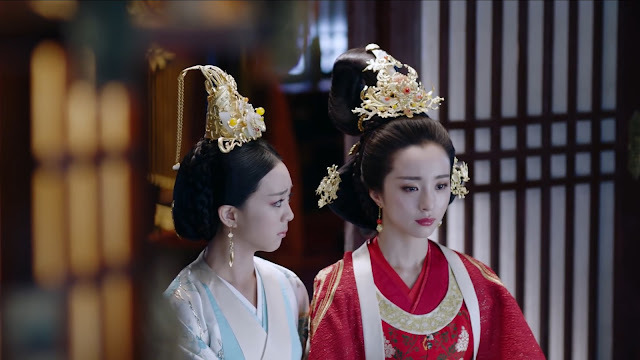 Jialuo (she really makes a beautiful queen) is telling her daughter-in-law, the Crown Princess, not to be intimidated by her son’s other concubines when an attendant comes in and informs her that her husband, the Emperor, spent the night with a palace maid. Jialuo is stunned and can only keep herself steady by holding on to the armrest of her chair. Jialuo: “At last - this day has come.” Jialuo’s attendant hands her the palace maid’s background and history to review. Yang Jian asks about the palace maid’s appointment. 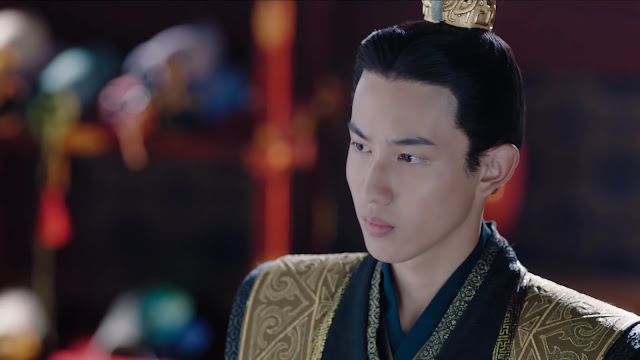 When the attendant hesitates to answer, Yang Jian demands that his order be executed without Jialuo's knowledge. His attendant throws himself to the ground and tells Yang Jian that Jialuo has already ordered the maid's death. After hearing this, Yang Jian rushes over to Jialuo’s residence and demands to know why she had the palace maid die. He tells her that all these years, he’s stuck by his promise to never marry and have children with anyone else. He’s even put up with it when their relationship became strained after he became Emperor. Jialuo: “Are you saying I should thank you?” She tells Yang Jian that if he wishes to, he can remove her as his Empress. 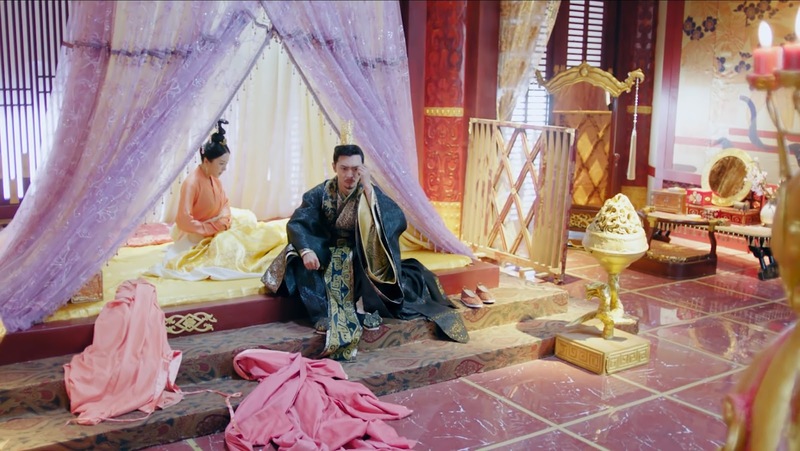 After Yang Jian storms off, Jialuo coughs blood into her handkerchief. Oh, no. 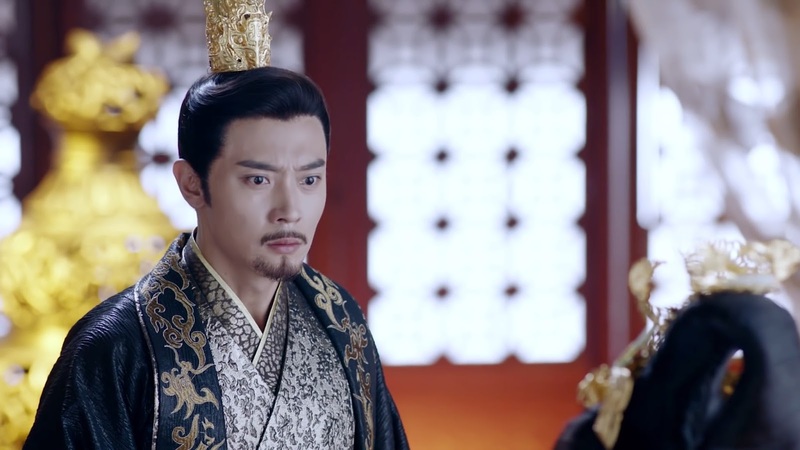 Yang Jian is upset and leaves the palace. His ministers and officials race after him and tell him not to do anything rash. Yang Jian: “I don’t have freedom, even as the Emperor.” He says that he’s given Jialuo so much, and he doesn't understand why she can't leave him this one thing. He wonders if she even respects him as the Emperor or her husband. 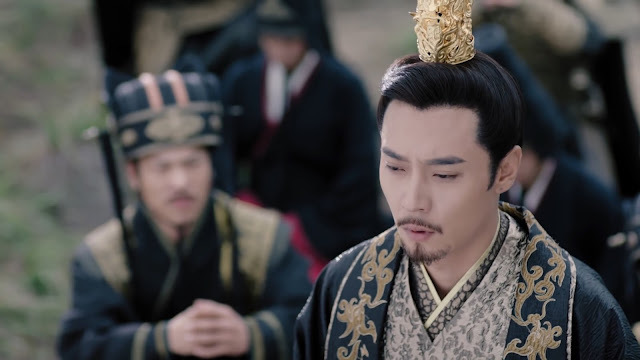 That is when one of his ministers speaks up and tells Yang Jian that the palace maid he spent the night with wasn’t who she said she was, and she had drugged him into sleeping with her. Upon hearing this, Yang Jian races to see Jialuo. When he gets to her residence, he hears that Jialuo is not there, that she has returned to her family’s home, Dugu Manor, to reflect over her actions. At Dugu Manor, Yang Jian runs into Lihua. 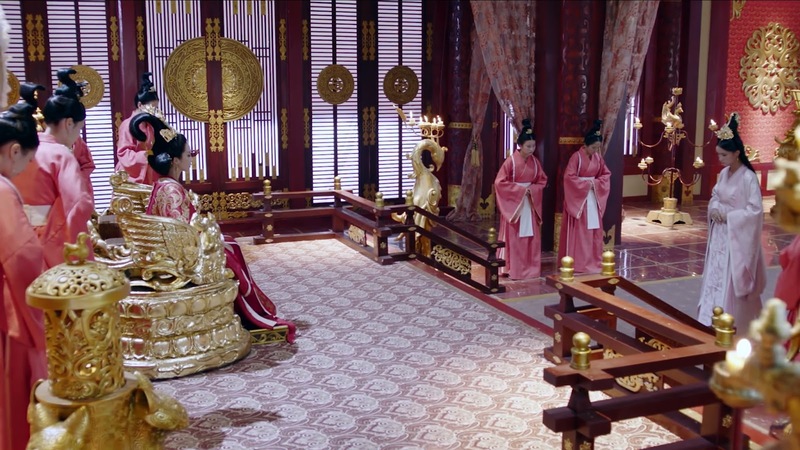 Lihua tells him to return to the palace, as Jialuo doesn’t want to see him. 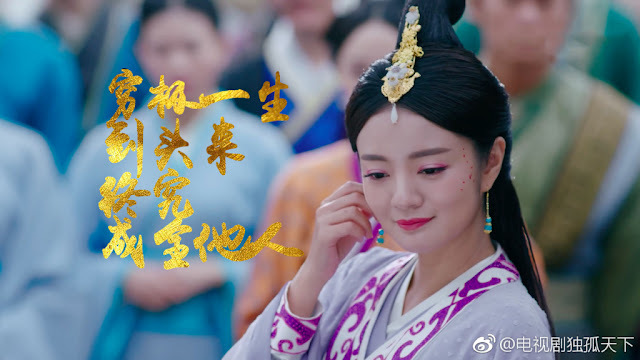 Yang Jian wonders out loud why Jialuo is treating him this way, and Lihua asks him a very good question – she asks him when he started using the official rhetoric emperors use to address himself (‘Gua Ren’ instead of simply I). Good point. The question strikes a chord with Yang Jian as well. That evening, Lihua comes to visit Jialuo and they chat by the pond. It turns out that years ago, when Yang Jian was severely injured, Jialuo promised the gods to never take any medicine if they made him well. She has never gone back on her word. Lihua suggests that Jialuo make up with Yang Jian, but Jialuo says that she’s tired and doesn’t want to speak with him. Anyone with power and desire is scary – anyone who gets close to that person will be hurt. 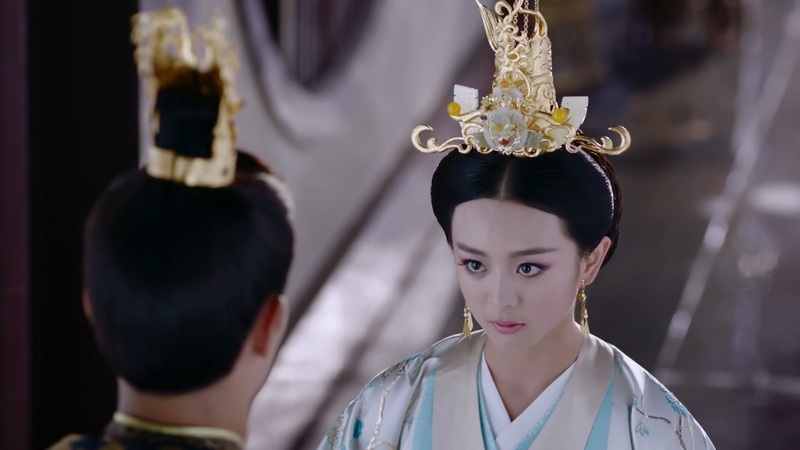 Lihua tells Jialuo that she has always wondered who Jialuo loves more – her father, Yang Jian, or Yuwen Yong. 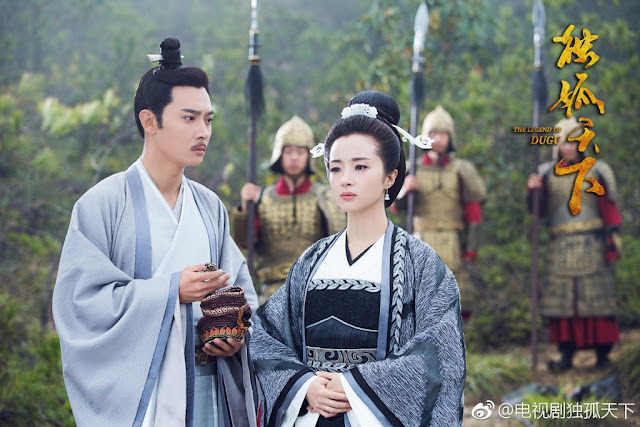 Jialuo says it’s a difficult question to answer – when she was young, she did have feelings for Yuwen Yong, but later came to love Yang Jian. It’s been so long since she and Yang Jian became husband and wife and they have become family. Although she’s sad, she can’t bring herself to hate Yang Jian and perhaps she wouldn’t choose either Yang Jian or Yuwen Yong if she could do things all over again. 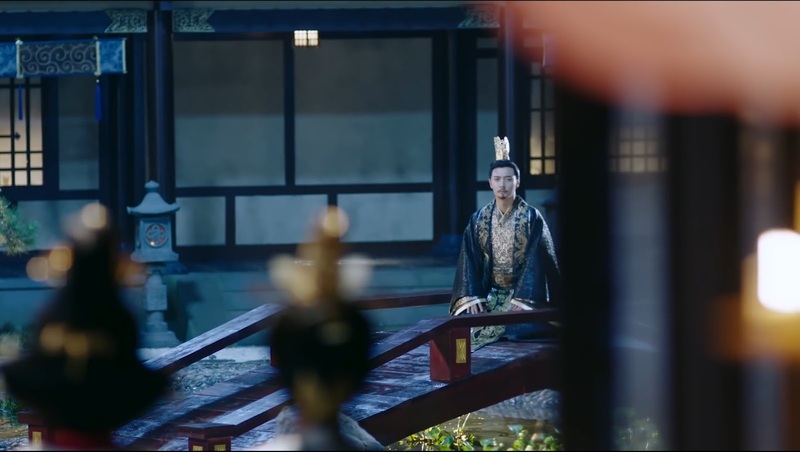 Yang Jian sits in the palace, reminiscing his past with Jialuo. They didn’t start off on the best of terms, but over time, they became friends and eventually fell in love. He swore to her that he would never be with any other women, and he would only have children with her. Normally I am not a fan of too many flashbacks, but it's very well done here, as you can really see how Yang Jian and Jialuo's relationship came to love each other so much. Jialuo is still at Dugu Manor when Yang Jian calls out to her from outside. 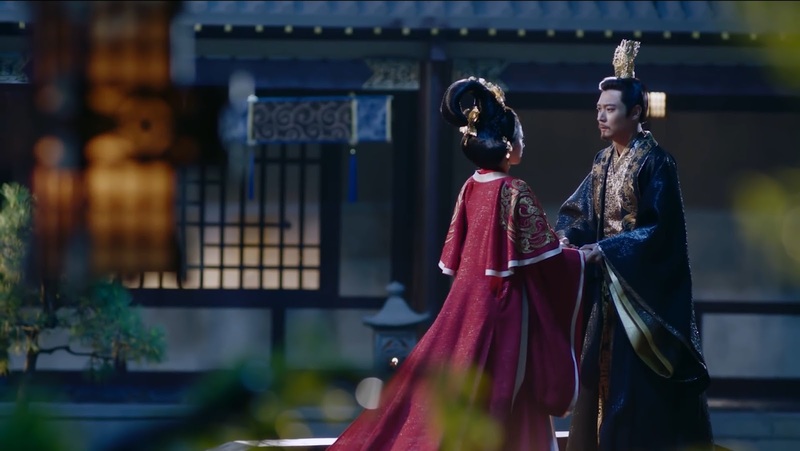 Jialuo walks outside to see Yang Jian kneeling in front of her, and she goes over to him and holds out her hand. Aww. Yang Jian and Jialuo have a beautiful reunion, and later that night, Jialuo tells him that no matter what, she loves him. 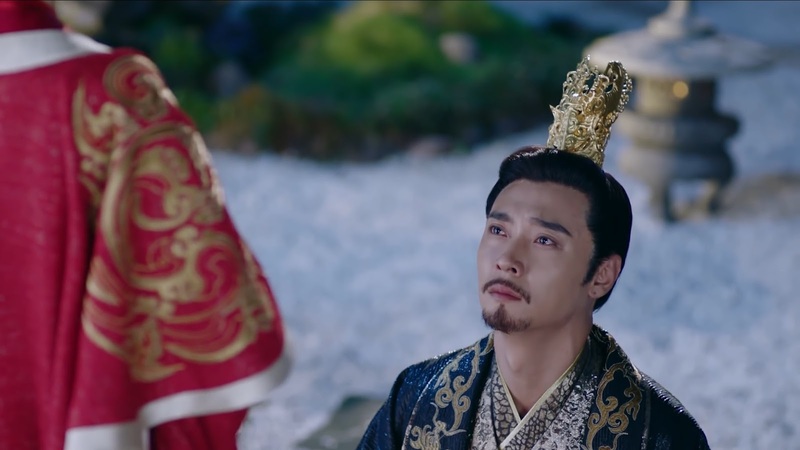 Yang Jian tells Jialuo that he’ll never hurt her again, and that after he steps aside so their son can become Emperor, they will travel together and be very happy. Unfortunately, soon after, Jialuo dies from her illness. Noooo. Two years later, Yang Jian looks like he’s aged 10 years. There are white streaks in his air where they weren’t any before, and his health has also deteriorated. He doesn’t stop coughing, and walks like an old man. 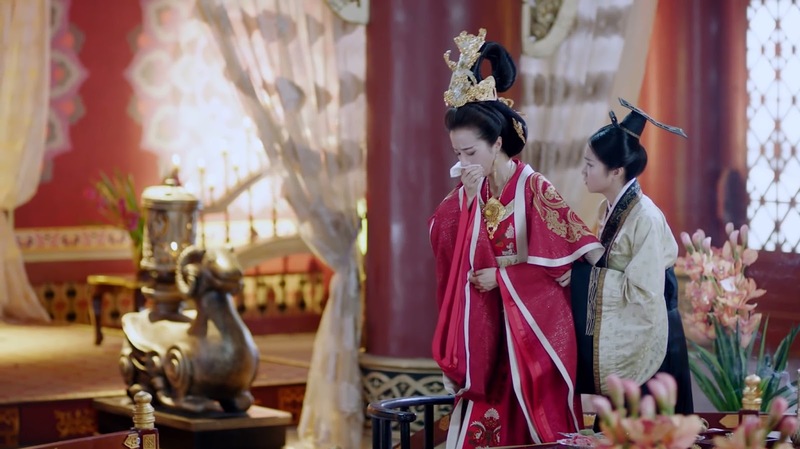 Mantuo is ill and tells her son that it’s time for her to go after being at odds with her sisters her entire life. It annoys me how she outlives both Banruo and Jialuo. 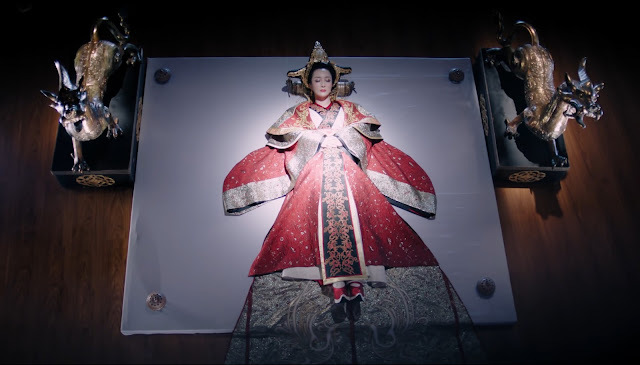 Before she dies, she tells him that she has confidence that he will become Emperor (he does eventually go on to become the founder of the Tang dynasty). finally a post than i can comment one lol dont even get me started on Mantuo, she's sooo annoying and i also hate how i cant see more of Banruo but have to see Mantuo made it times after times and as annoying as ever. 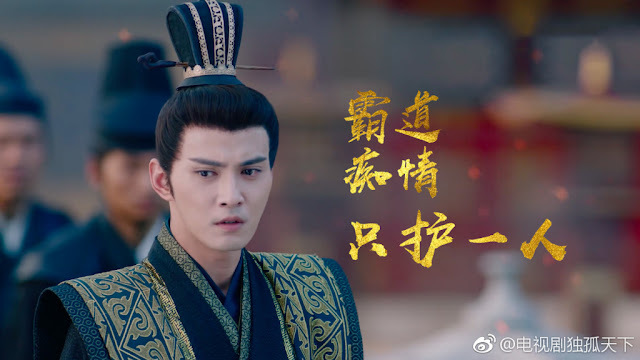 I thought Yangjian will kill her and im like yes but nah lol Jeremy Tsui is so good at emotion acting tho, you can feel his love when she passed away , tho his love is more on the obsessive side. 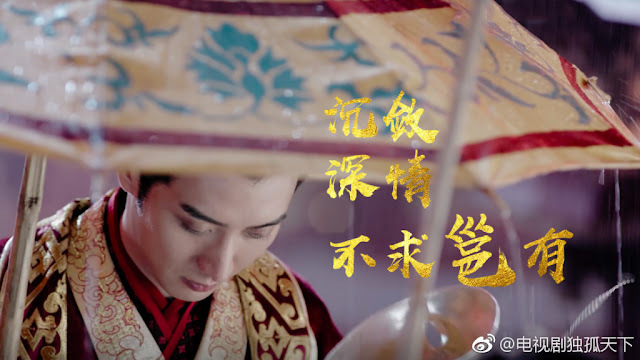 Yangjian and Jialuo is cuteee, though its said to see how power changed him later on but the prophecy Dugu Tianxia really made it that anyone that is related or has Dugu blood to be on the top. I'll admit i skip the middle part lol the 1st part and ending part are better imo. im surprised the movie last all the way past Mantuo's son lol and the makeup, Jialuo looks at most 10 years older than her daughter, they didnt even try lol now i'll be watching out for Andy An (she's soooo pretty, Autumn Concerto anyone?) and Jeremy Tsui (like him in Siege in the Fog but that movie let me down) and Hu Bingqing too, and the guy that act as Yangjian! Historically, the daughter is theirs. i just cannot believe the one who killed many could outlived anyone and died peacefully, without coughing blood, without trembling and shaking, without any flaws, calmly accompanied by her son at her bedside. wonder if karma still exists in this drama. lol. What? I thought Yang Guang is Yang Jian's real son in history, did Yang Jain slept with Man Tuo in the drama? How disgusting! BTW, based on the picture Yang Jian woke up with all this clothes on and hair still tied neatly and he believed the maid, I would be so angry and mad if they are not awarding him "dumbest character of the year"
in the drama yang guang also their biological son. on one episode (forget which one, but yang jian dressed as female) jialuo said she was pregnant and would name their son a guang. Did you misread or you didn’t watch the drama? Yang Jian DID NOT sleep with Man Tuo. He slept with her look-alike although played by the same actress. Oh got it, still learning chinese history. I cannot keep track of the dynasty names but remember some character names from time to time if I go back to wiki them. So Li Yuan is founder of Tang dynasty and father of Li shimin. 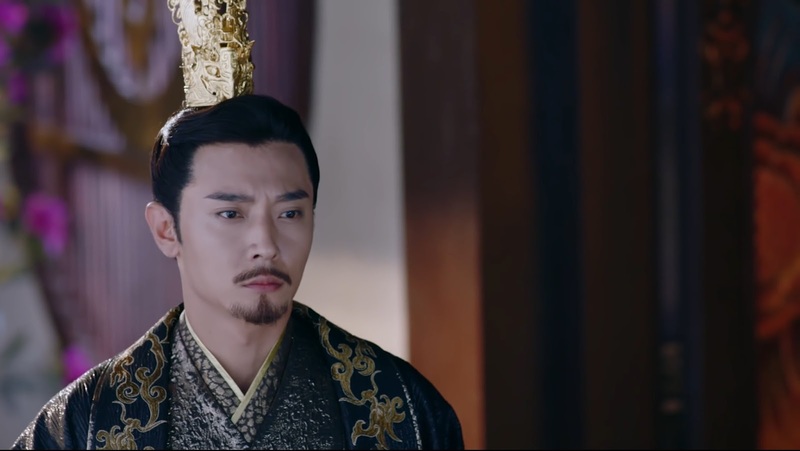 Yang Guang is a very bad person in history so for some reason I thought he should be the son of Man Tuo, interesting Jia Luo is a good person but her son is terrible. Thank you for your great recap! Glad I hung in there throughout the drama in spite of Mantuo's TERRIBLE acting! I probably missed some while fast forwarding through her scenes but it was too painful to watch such terrible acting and evilness. I appreciate the ruthless characters but when it becomes just pure evil _ cant bare to watch! Thanks again! Thank you for your rewriting. I can finally re-read. The Mantuo's character is that I really hate. It's hard to believe that such a low person filled with hatred and jealousy can cause so much damage and pain to others without being punished. I just started to watch recently. I have a big sympathy for the 3rd sister and her pure and loving heart. Maybe things would be written differently if the 1st sister would not be obsessed with power that much. Dogu legend was just her exclusive excuse. She hurt many people thou.